Check out this retro USB gadget, the USB On The Air Radio. Relive the past with this USB On the Air Radio! 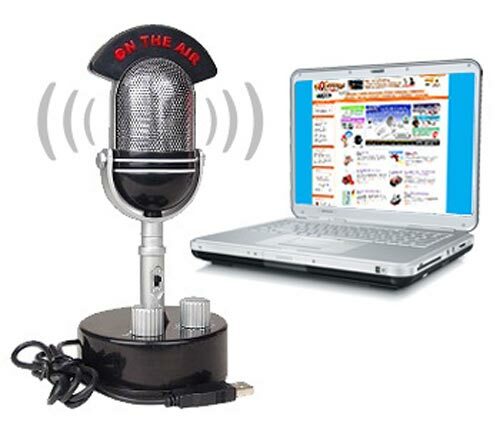 This USB On the Air Radio is a Retro Microphone style AM/FM radio which lights a bright On the Air LED when turned on!There’s no need for batteries, simply plug into your USB port! Put on your desktop and listen to sports radio, talk radio and mariachi music on the AM dial and Rock, Pop, and Hip Hop on the FM dial! The USB On the Air Radio is available to buy online for $24.99 from Wowzzers.